Sometimes we haven’t been there, done that. 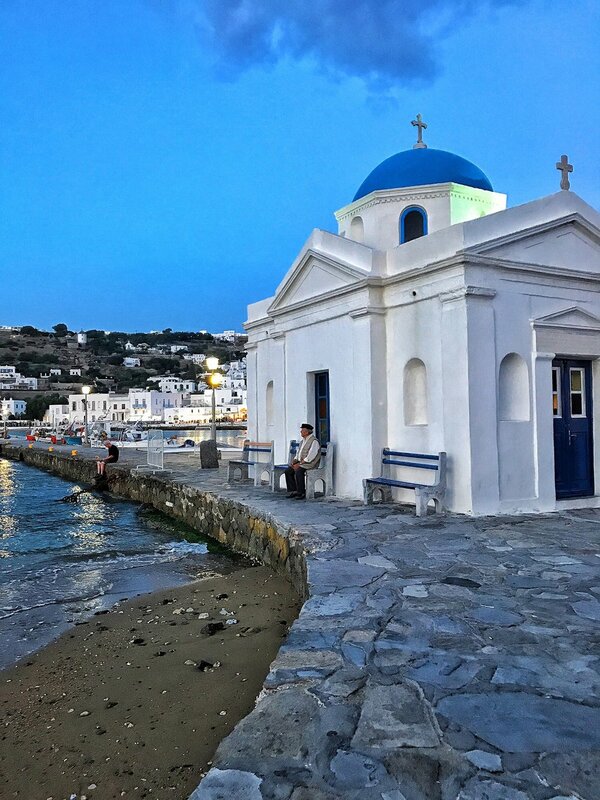 When a friend called asking for tips on Mykonos, we couldn’t help her as our information from some 20 odd years ago (backpacking after college) was just a little out of date. Then we remembered a friend of a friend, a very chic woman who has a house on the island for over 20 years who was more than willing to help. This is what Daytripper is all about - word of mouth from trusted sources. Hotel Info: I steer friends to stay at three different hotels depending on what they are looking for. Santa Marina has a private beach, quite decent and there’s a large pool. It’s not far from town and it’s the most similar to a resort that we have on Mykonos. Cavo Tagoo is not on the beach, but it's across the street from the sea. Everything is very white, a design and décor that works for grown ups (I wouldn’t stay here with young kids.) There's a pool but I suggest you go to different beaches every day. It’s also pretty close to town. If you want to stay in town, there is the Belvedere Hotel; it's a small boutique hotel with a stunning Nobu restaurant. You can then go to beaches during the day and not have to drive at night, a good plus after a late night dinner and dancing. Best Beaches: I love Agios Sostis, though it’s not organized, by which I mean there’s no umbrellas, etc. But, there’s a tiny taverna called Kiki's that doesn’t take reservations, everyone waits, EVERYONE. Lia Beach is 30 minutes from town, it’s organized with umbrellas and there’s a taverna on the beach. The water is lovely. If you’re looking for something low key, Kalafatis Beach is a great place to enjoy the water - it’s very local with a taverna that’s just OK.
Lunchtime Beach Eats: Spilia is a restaurant on the beach in a cave. It's great-- really fab--you must book ahead of time. Definitely go. On Ftelia Beach, Alemagou is the coolest restaurant, another don’t miss. It’s not the nicest beach on the island, but people still swim there. Nammos on Psarou Beach is a complete scene...it’s like St. Tropez’s Club 55, but on steroids... totally full on. The water is beautiful and it is something to experience--at least once during your stay. On Kalo Livadi, an organized beach there is a good taverna as well. I love going to Fokos Beach; it’s a mix of locals and cool people, the closest to what Mýkonos was many years ago. There are no loungers’ or umbrellas, but there is a simple taverna that we like very much. The owners spent a lot of money refurbishing Panormos, there’s a good restaurant and you can arrange beach seating. Finally, Scorpios restaurant is very cool…almost too cool… great food, great vibe, very cool peeps, must book. Must go. At Dinner: Our favorites include: Interni Restaurant, Chez Katrins, Kalita, Nobu, Sea Satin, and Kazarma.